This recipe was definitely quick and easy to prepare. It paired nicely with spinach. My family ate it with white rice, but I made shirataki rice for myself for a no calorie option. This meal, while not my favorite, is a good go-to dinner if you have to throw something in the crockpot in the morning. It's tasty and goes well with most vegetables or starches. It's simple and I think most people would enjoy it. It's very similar to most meals made with condensed cream of mushroom soup. That's not a bad thing, just something to note. So would I make it again? Probably. Next time I might look into making my own "cream of" substitute and try it with that. I've done it in the past, but lost track of the recipe. Here's a link for one that looks pretty convenient. I'll let you know if I try it! Find the original recipe on page 11: 100 Favorite Weight Watchers Recipes. 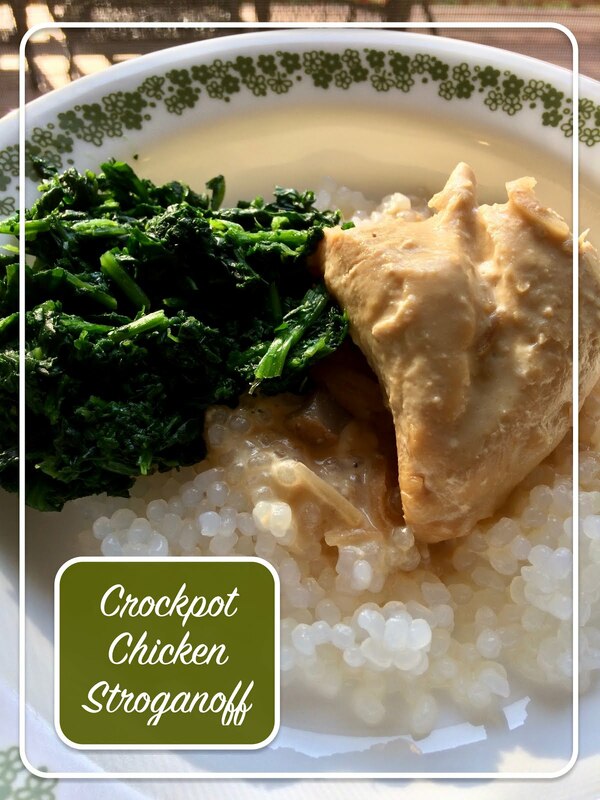 Put frozen chicken breasts on bottom of crockpot. Mix other ingredients in a small bowl. Pour over chicken. Cook on low 7 hours. Serve over rice or noodles. *I used light sour cream, but the original recipe called for fat free. If you use fat free, it brings the POINT value to 4, Points Plus to 5, and Smart Points to 4. I was using what I had on hand, but in the future I might use the fat free to save calories.